Today I’ve made it back down to good old Romsey. Which is my sometimes hometown. I’ve come back to find my room completely transformed from what it looked like three months ago. 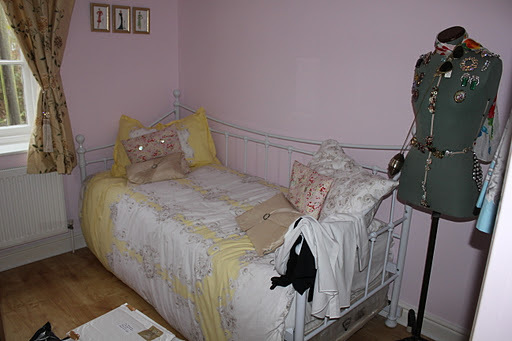 My mum has been out of work for a while and clearly beautifying my bedroom is a way she has been spending her time! my mum likes making arty displays. The dress here is actually a new look dress that i’ve had for at least 7 years. Its such a sweet little piece. 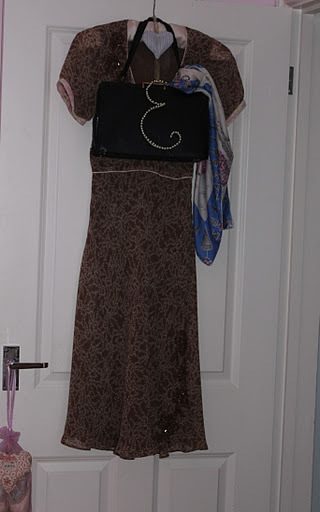 The handbag is a Mappin and Webb 1950s one. Onto my wardrobe. 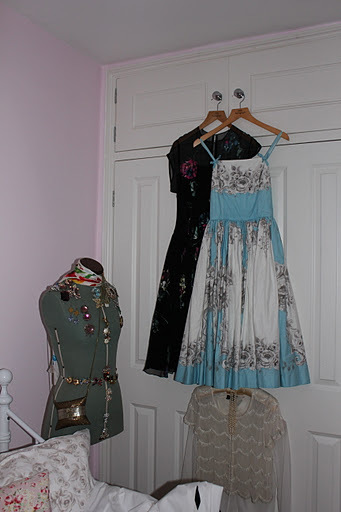 The two dresses seen hanging are two personal favourites the black one is handpainted silk by London town and the blue number is one of my gorgeous Horrockses! 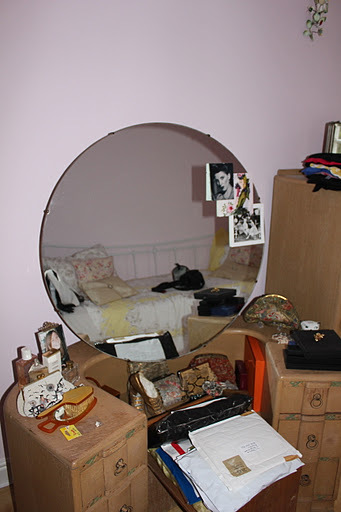 My lovely art deco dressing table. Apologies for all of the parcels piled up on the chair. Ebay addict o’clock. 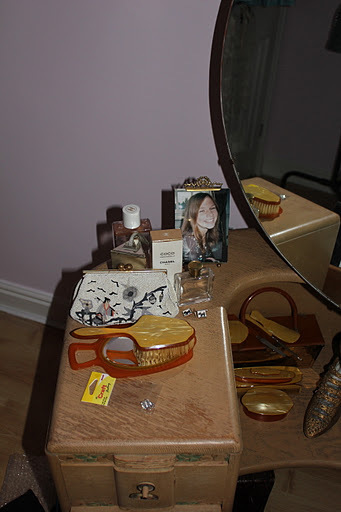 A closer look at what is on my dressing table. The shoes were an absolute find and are amazing supple gold kid leather that date to around 1890. The vintage handbags are a mixture of mine and my mums. 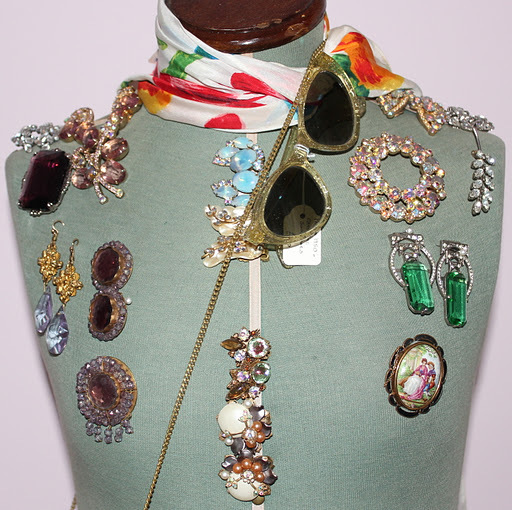 Handbags is how i started my vintage collecting habbits. 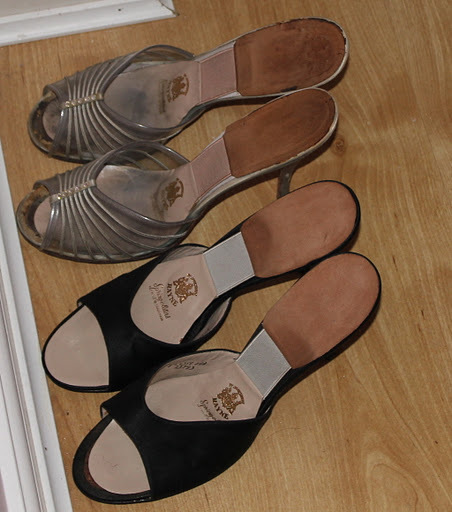 Two pairs of Rayne mules. Oh how i wish my feet were narrow enough for these!!! 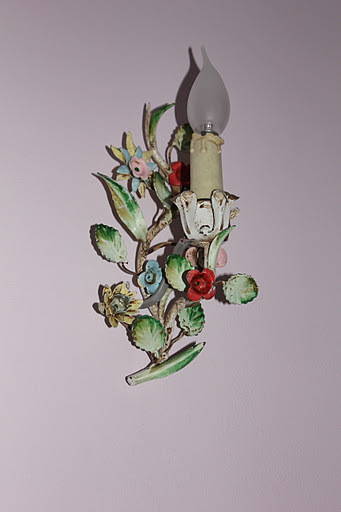 My amazing 1930s light fittings. Aren’t they stunning! 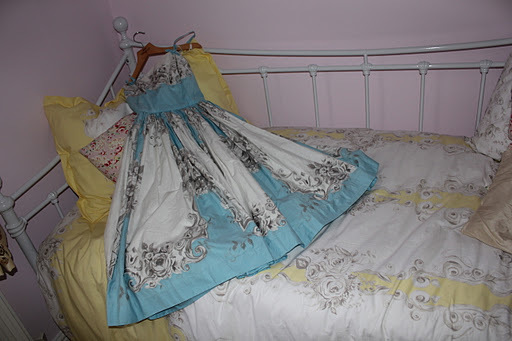 Oh and just a cheeky image of my Horrockses bedding with my original Horrockses dress. Just a little bit of a Horrockses super fan you could say. 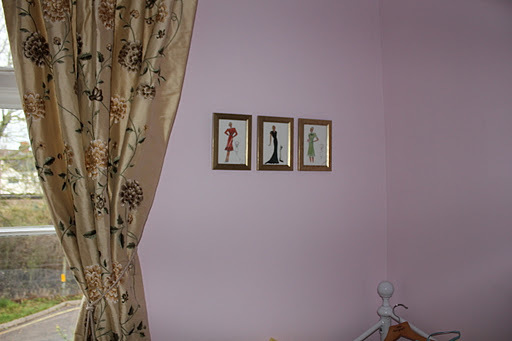 I am enamoured with how you decorated your room with such vintage flare. Amazing! 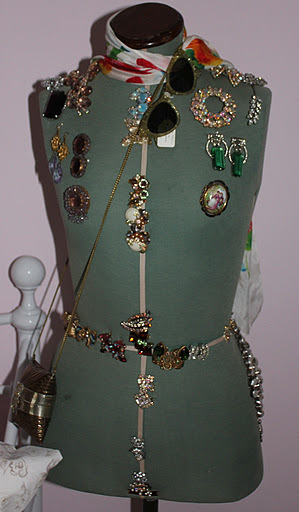 I love the idea of pinning vintage pins to your dress form.